Caryl Rusbult, 57, a Professor in the Department of Social and Organizational Psychology at the VU University, passed away peacefully on January 27, 2010, from uterine cancer. Trained as an experimental social psychologist, Caryl Rusbult was a dynamic and creative thinker, a generative and rigorous theorist, and a committed and energetic researcher. She dedicated her professional career to the study of interdependence processes, especially as they apply to close relationships. Caryl made numerous important theoretical contributions to the literature and was also an exceptional teacher and a beloved mentor. She conveyed her passion for theory and research to students with warmth and dedication. Caryl received her B.A. in Sociology from UCLA and her PhD in Psychology from the University of North Carolina at Chapel Hill in 1978. She began her professional career at Franklin and Marshall College, but soon moved to the University of Kentucky. In 1986, she returned to the University of North Carolina. Chapel Hill was the scene of her most important theoretical contributions, including the investment model of commitment processes, a theoretical model of accommodation processes, and, most recently, the Michelangelo effect (the manner in which close partners “sculpt” each other in ways that help them attain valued goals). In 2004, she and her husband, Professor David Lowery, moved to the Netherlands, where she became Professor and Chair in Social Psychology. There, Caryl expanded her interdependence theoretical orientation, developed new lines of research, and served as an important source of inspiration to students. Caryl Rusbult’s Investment Model of Commitment Processes is one of the most well-known and influential theoretical frameworks in the area of close relationships. This exceptionally generative model explains how committed partners maintain and promote their relationships by transforming personal motives to take into account the necessity of coordinating and getting along with partners. Caryl was inspired by Kelley and Thibaut’s Interdependence Theory, especially its rigorous mathematical-theoretical approach to understanding social interaction, and became a major figure in that theory’s advancement. Among several important writings on the topic, she was a major contributor to the Atlas of Interpersonal Situations (Cambridge, 2003). A year later, with Harry Reis she published Key Readings on Close Relationships (Sage, 2004). 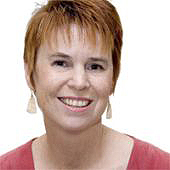 Caryl served as an Associate Editor for the Journal of Personality and Social Psychology (1990 to 1994) and the Encyclopedia of Psychology (1996 to 2000), and was elected to the boards of several national and international organizations (e.g., Society of Experimental Social Psychologists, International Society for the Study of Personal Relationships). Caryl Rusbult regarded “the social” and the “relationships between People” as the central root of human cognition, feelings, and behavior, and was very strongly committed to pursuing that mission. The enormous impact of her theory, research, and teaching was recognized by several major grants and awards, including the Mentoring Award (2002) and Distinguished Career Award (2008) from the International Association for Relationships Research, the New Contribution Award (1991/1992) from the International Society for the Study of Personal Relationships, the Reuben Hill Award from the National Council on Family Relations (1991), and the J. Ross MacDonald Chair (1997-2002) and the Distinguished Alumni Award from the University of North Carolina (2009). Caryl Rusbult was a generous scholar who was equally committed to good theory and research, and to the students and colleagues with whom she worked and lived. She genuinely enjoyed sharing and giving, in the form of committed mentorship, unflagging emotional support, and deep friendship. Caryl made an exceptionally strong impression on those who knew her. She knew how to bring out the best in others, and did so often. Her genuine love for others, her constructive friendship and mentorship, and her immense ability to care for others is part of the collective memories of many friends, faculty and students, all over the world. Much of Professor Rusbult’s work was inspired by Interdependence Theory (Kelley & Thibaut, 1978; Thibaut & Kelley, 1959). Rusbult believed that human experience is inherently interpersonal and was committed to establishing a truly social psychology, taking into account interaction partners’ motives and behaviors and the social context in which they interact. Most of Rusbult’s work examined motivation and behavior in close relationships. Below are brief descriptions of her major lines of research. Most models of relationship processes and stability assume that satisfaction (love, positive affect, attraction) is the primary predictor of the decision to continue or end the relationship. Rusbult’s investment model extends such “feel good” models by emphasizing the centrality of commitment to breakup decisions and to a broad array of major relationship processes. Commitment embodies one’s history of interdependence, guides present behavior, and shapes goals for the future. Commitment is defined as the sense of allegiance individuals develop toward the objects of their dependence, including: (a) intent to persist; (b) psychological attachment to the partner; and (c) long-term orientation toward the relationship. Commitment in turn powerfully predicts tendencies to persist in a relationship and relationship well-being. Rusbult developed a comprehensive model of commitment, describing both its antecedents and consequences (see Figure 1). Commitment arises due to dependence on one's relationships, or the degree to which a person ‘needs’ a relationship. Dependence is based on: (a) satisfaction with the relationship and gratification of important needs; (b) lack of alternative relationships in which a person’s most important needs could be met; and (c) investment of important resources, including time and effort, shared friendship network, and material possessions. In Rusbult's model, as in Interdependence Theory more generally, dependence is conceptualized as a healthy reliance on the other; it does not have the negative connotations that are sometimes associated with the term. Relationship Maintenance Mechanisms: Rusbult believed that commitment plays a vital role in a process termed “transformation of motivation,” which refers to the motivational shift whereby an individual comes to react to delicate situations for the relationship not on the basis of direct self-interest, but on the basis of broader considerations (e.g., long-term goals, personal values, concern with the partner’s well-being). Thus, committed people are willing to enact prosocial behaviors in many sorts of delicate situations – to exert effort and endure cost for their relationships, departing from immediate self-interests for the good of the relationship. Rusbult and her colleagues examined various relationship maintenance mechanisms, including (a) tendencies to accommodate rather than retaliate when a partner behaves poorly, (b) willingness to sacrifice for the good of a partner and relationship, (c) forgiveness of partner acts of betrayal, (d) inclinations to derogate or drive away tempting alternatives, and (e) positive illusions, or tendencies to regard one's relationship as better than (and not as bad as) other relationships. These relationship maintenance mechanisms, in turn, promote couple well-being, operationalized in terms of both relationship persistence and relationship adjustment. Rusbult and her colleagues believed that pro-relationship motives and relationship behavior can feed back on each other in a virtuous circle. They developed a model of mutual cyclical growth, outlining how two individuals’ pro-relationship motives and behavior toward each other promote relationship health and vitality. For example, A’s relationship dependence (high satisfaction, high investments, low perceived quality of alternatives) yields strong commitment, which in turn promotes prosocial behaviors. When B observes these prosocial behaviors, his or her trust is strengthened, which yields increased dependence and stronger commitment, which bolsters the willingness to engage in his or her own prosocial behaviors, and the process begins anew (see Figure 2). The process of mutual cyclical growth yields tendencies toward mutuality (i.e., equivalent commitment on the part of the two partners), which in turn reduces each partner’s vulnerability and the probability of exploitative behavior. Rusbult believed that understanding what distinguishes satisfying from dissatisfying relationships may be a simple matter of understanding how partners respond to each other's less-than-virtuous behavior. Building upon Hirschman’s (1970) discussion of reactions to decline in firm, organizations, and states, Rusbult and her colleagues have advanced the “exit, voice, loyalty, and neglect typology” to map the domain of behavioral options available to relationship partners. The two key dimensions of the typology concern whether a specific behavior is (a) constructive versus destructive, and (b) active versus passive with regard to the issue at hand; the two dimensions form the basis of the 4 behavioral options (see Figure 3): Voice and loyalty are constructive, positive, and optimistic in regard to the relationship’s future, while exit and neglect are more destructive. In addition, exit and voice are active behaviors, while loyalty and neglect are relatively more passive. Typically, Rusbult and her colleagues have used this typology to understand responses to dissatisfaction (e.g., committed couples are more likely accommodate constructively and less likely to engage in destructive behaviors in response to rude partner behaviors). However, the typology has been adopted by other researchers to examine other diagnostic interpersonal situations (e.g., how individuals respond to their partner’s to positive news; Gable, Reis, Impett, & Asher, 2004). Rusbult also believed that human dispositions, values, and behavioral tendencies are fashioned at least in part by interpersonal experience, with close relationship partners exerting the most powerful influence. Just as the renowned renaissance sculptor Michelangelo chipped away at blocks of stone to reveal the ideal form slumbering in the stone, partners sculpt one another’s dispositions, motives, and behavioral tendencies to allow each person’s ideal self to emerge. Of course, some partners bring out the best in each other and other partners bring out the worst. The key to the model lies in partner affirmation, or partner perceptions and behaviors that are congruent with the self’s ideals and goals. As a result of the manner in which partners perceive and behave toward each other, each person tends to enjoy greater versus lesser success at attaining his or her ideal self goals. Partner affirmation and self movement toward the ideal are associated with enhanced personal well-being and couple well-being (see Figure 4). For a description of how Rusbult herself served as a Michelangelo figure to her students and collaborators, click here.